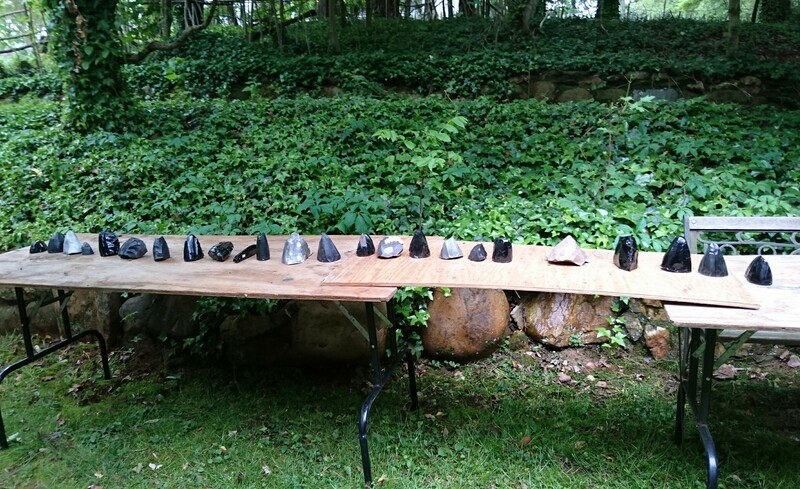 In April, I had the opportunity to be able to spend a week in Virginia, USA at the home of Dr. Errett Callahan, a master flint knapper, archaeologist and pioneer of experimental archaeology. Errett has long been one of the people I have looked up to for his skill and accomplishments within my field and he has subsequently become a mentor of mine. The purpose of my trip was to spend a week working with Errett on my own flint knapping skills in order to be able to better understand and interpret the cores, blades and blade based tools in the Alvastra material. 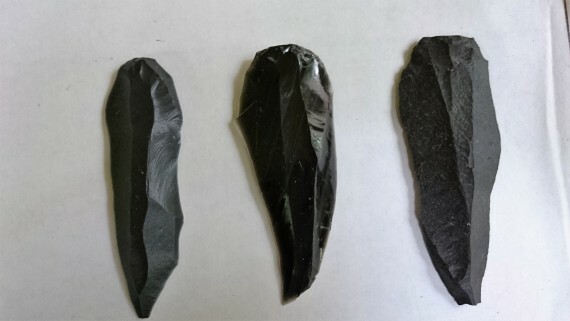 We started with repeating the technologies utilized in the evolution of flint knapping from the Lower Paleolithic (choppers, hand axes) through the Middle Neolithic (Alvastra axe cores and blade based tools). I was eventually able to successfully reproduce all tool types, core types and blade types in various lithic materials. This has proved invaluable to my own understanding and interpretative abilities when working with ancient material. 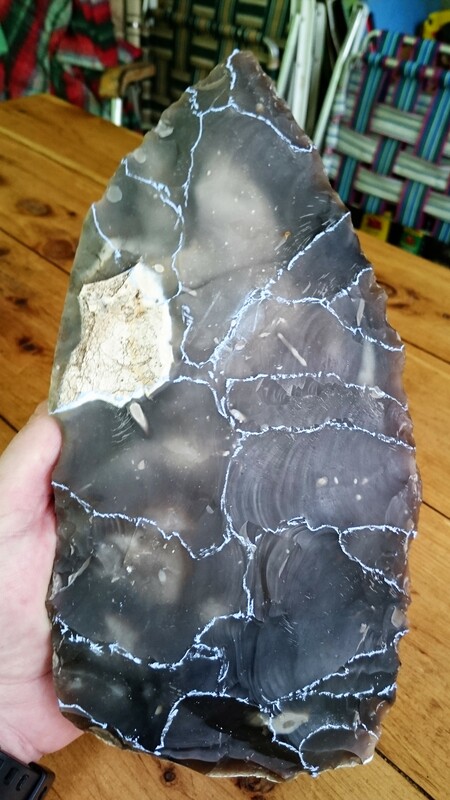 I can now interpret what type of likely holding technique, percussion technique, percussion tool as well as the intended result was even when looking at fragmentary lithic materials, whether I’m analyzing blade fragments or the fragmentary cores themselves. 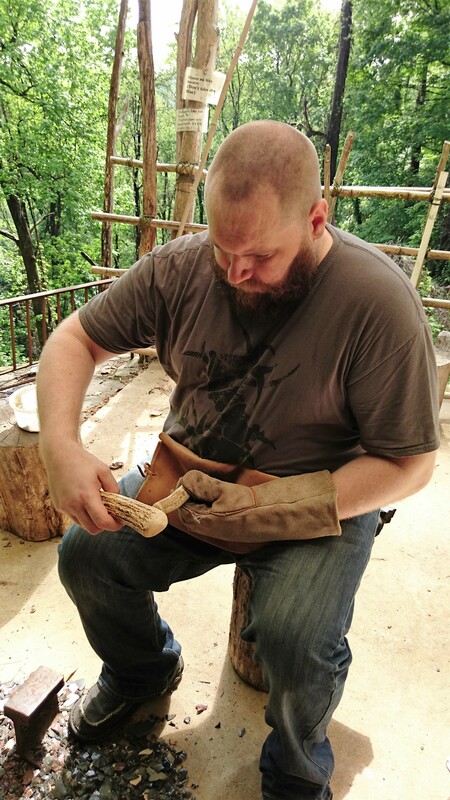 I also spent an additional week on my own time learning Late Neolithic Dagger making and bifacial reduction mastery. This was as fun as it was informative and challenging. Flint knappers are a breed of their own I guess.